Cashmere is one of the noblest and softest materials. Rich and comfortable, these exclusive cashmere of socks, made with wool and silk, are associated with among the best in the market. 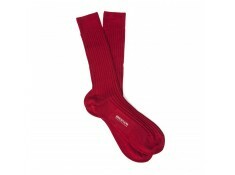 The holy grail of socks is offered by Bresciani.